You’ve no doubt heard of Amazon Prime and maybe even scrunched your brow in confusion about why a person would pay to be a member of the site just to shop. The truth, however, is that this membership can be wonderful and actually save you money from year to year. Don’t believe me? 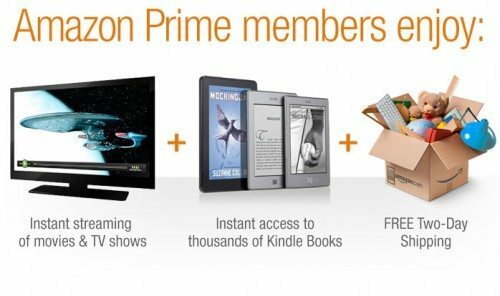 Take a look at some of the benefits of being an Amazon Prime member! There are plenty of ways to get free shipping on Amazon, no doubt. Those options include buying items that are automatically provided with free shipping and making sure you have the minimum amount required in appropriate items for general free shipping. Both are great ideas, but let’s be honest. Sometimes, the item you need isn’t available with general free shipping, and if what you need is only five dollars, the free-shipping-by-order-total isn’t a great strategy. It’s frustrating, in the end, to buy something for five dollars and have to pay an additional five dollars in shipping. This is one of the biggest ways that Amazon Prime shines because there is no automatic requirement to get free shipping. If your item qualifies, you can pay the five dollars—period—for the purchase without having to double the price just for shipping. This is a fantastic option for people on a budget who buy a little here and a little there because it negates having to pay bigger amounts at one time to experience free shipping. Think of what you could save during the holiday season with this detail! In addition to free shipping, you can also get your items quickly by subscribing to Amazon Prime with time frames like one or two days for shipping. This can come in handy for last-minute, unexpected expenses—like finishing touches to a party you’re about to host. Maybe you realize you don’t have enough of the plates you’ve chosen for the handful of people you recently invited, so you just have to order more. For time-crunched purchases like this, you can’t necessarily beat the one-or-two-day idea to get your details in order just in time for your upcoming events and needs. There are so many ways that Amazon Prime can boost your music experiences, including access to various songs and the ability to listen to them, without ads, even when you’re away from your computer. Going for a jog, for instance, can be done while you listen to tunes. You can also build your own playlists or take advantage of the already available ones. Quite literally, you can add over a million songs to your life by taking full advantage of this Amazon Prime detail. These songs can be played on a number of devices as well, like Echo, the Amazon Fire TV Stick, and BlueSound. With Prime Video, you gain access to a number of television shows and movies through your game system, your TV, your computer… And some of these options are Prime exclusives, like Britannia , Mozart in the Jungle , and Absentia . Other than Prime exclusives, you can also check out popular films like Iron Man , Indiana Jones and the Raiders of the Lost Ark , and Star Trek , and TV shows like Grimm , Psych , and The Pyramid Code . You can also choose to add on specific channels, like Starz and PBS Kids, to boost your movie/TV experience. It truly is a benefit for anyone interested in trying out new shows and movies. For a reader, there are similar benefits as well. 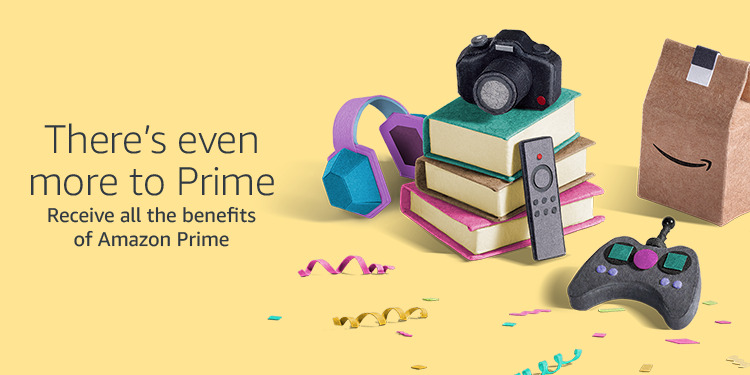 Through Prime, you can browse more than 1,000 options to add to your reading device. Considering a reader can easily go through a book a week, knowing that a book for each week of the year can come from your Prime membership is a big deal! Books like Harry Potter and The Sorcerer’s Stone by J. K. Rowling,Bury My Heart at Wounded Knee: An Indian History of the American West by Dee Brown, The Lost Hero (The Heroes of Olympus: Book 1) by Rick Riordan, and The Fog Seller by Don Daglow are available with no cost beyond membership, so filling up your to-read list for a year (or two or three…) won’t necessarily prove too challenging with Prime! Gamers can find a specific perk for Amazon Prime membership as well since every month, they are given bonuses and gifts for their gaming experience. These bonuses can come in the forms of a game or character, among other things, but from month-to-month, you could experience a boost in your video game life. Currently, the games that are addressed for this boost include Call of Duty WWII: The Resistance and Paladins: Champions of the Realm , so who knows what next month will bring? To find out, subscribe! There are buying options on Amazon that only exist for Prime members, which when you think about it, are kind of the ultimate thank-you a company can hand to a subscriber. For sure, some of these deals are worth looking into! For instance, at this moment, a toy workbench that is listed with a regular price of $54.99 is cut down to $22.97 for Prime members, which is about a 42% discount, and pre-order for the new movie, The Greatest Showman , is $14.99 on DVD for Amazon members instead of the listed typical price of $29.98 (50% savings). Clearly, the deals reach various shopping categories, and if you shop well, you could make up for the Prime price just by catching great deals for items you need in this Prime-only element. Sounds good, right? No, this bonus does not mean that Amazon is selling you photos of other people, but it’s giving you a way to store all of your current photos! Whereas other Amazon customers can upload 5 GBs of photos, Prime members do not have a maximum amount noted on the site. If you wanted to, with that in mind, you could store all of your photos with your Prime membership. This can be done through an Amazon Drive app that you can download to your computer so you can browse your photos on a tablet, a Fire TV, or Echo, among other options. You can even have your photos put on gifts with free shipping to your home. For a photo fan, this is a deal that can catch the eye! You don’t have to do much to keep your Prime membership going since Amazon will automatically charge your card the upcoming fee when it’s due. All you need to do, then, is make sure that you have the funds available to pay for the service, and you can keep using your Prime membership for these benefits without worrying over the details of when it’s due. On the flipside, though, this does mean that it’s incredibly easy to get charged for Prime for a year you didn’t want the membership to extend into if you don’t cancel before the renewal fee shows up. Be sure, on that detail, that you cancel your membership in time to not be charged. Fortunately, Prime is easy to cancel as well since you just have to go to your Prime account and hit “End Membership.” Just pay attention to when it’s due, and you can end this before you get charged, should you decide against these benefits. While it may seem like a hefty amount of money to attain this Prime membership—$99—keep in mind that this is an annual amount. If you think of that number on a by-month basis, it averages to $8.25 per month. If you decide to pay per month, it’s $12.99, and it increases your overall payment to $155.88, which is a significant increase but does allow payments to come in smaller doses. Let’s say, though, that you choose the $99 option. If you were planning on spending even $1 a week on books, within the 52 weeks of the year, the amount of money saved is over half of the Prime fee. If you add in music, movies, games, free shipping, and Prime-only deals, it becomes remarkably easy to see how Prime membership would eventually pay for itself. So if it will, in the end, balance out to cost you nothing or even save you money, why not go for the easy photo storage, the quick deliveries, and the media that’s there at your fingertips? 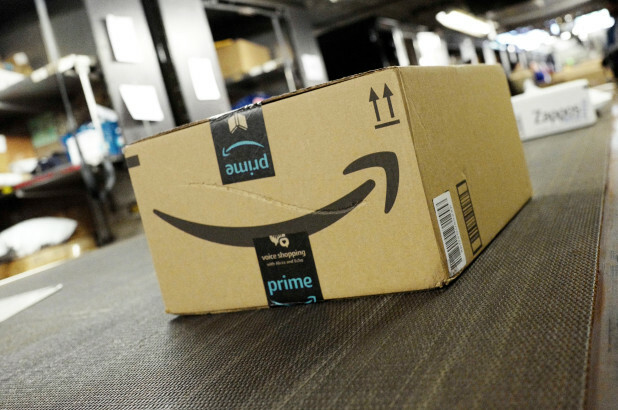 While a person may scoff at the idea of paying almost $100 to be a member of Amazon Prime, the hard facts are that if you’re a frequent shopper on the site, the fee could be less than the amount of money you’ll save through the benefits involved with the purchase. If you have a lot of Amazon purchases in your future, this is a great up-front expense to save you money in the long-term!